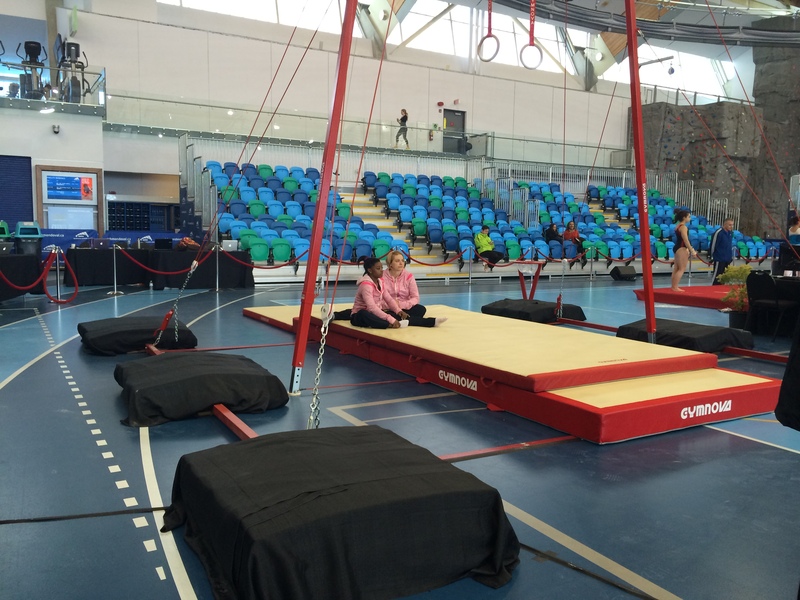 Simone Biles gave it her all to compete this week at the 2014 Pacific Rim Gymnastics Championship. But in the end, her body just wasn’t quite with her. A shoulder injury kept her from the 2014 AT&T American Cup the beginning of March. Time to heal and be at her best just wasn’t on her side. As a precaution, USA Gymnastics decided this afternoon to withdraw her from the competition. 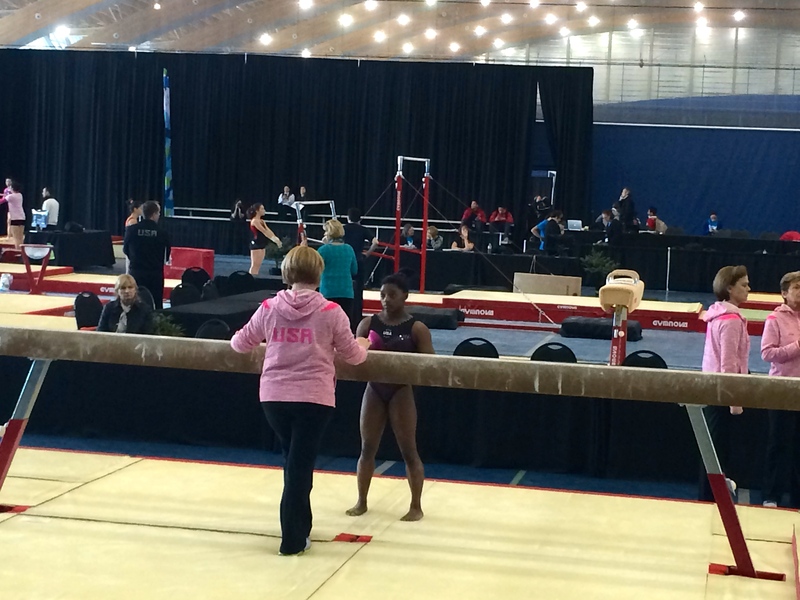 Aimee Boorman and Simone Biles preparing for beam. 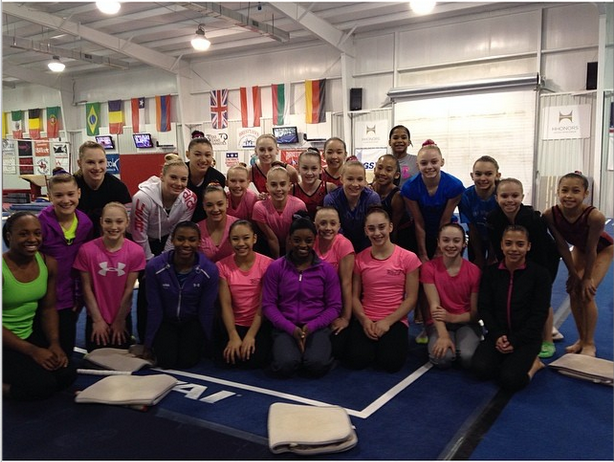 The US girls started their second training session of the day on beam. Biles looked good, and finished out the rotation with a strong routine. However, there were many serious chats on the side with coach Aimee Boorman. Next on floor, she debuted her awesome new, somewhat more mature, floor routine and looked great. 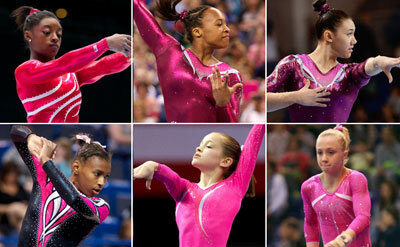 However, in her full routine she barely made her Biles and in tumbling runs after sat it down. 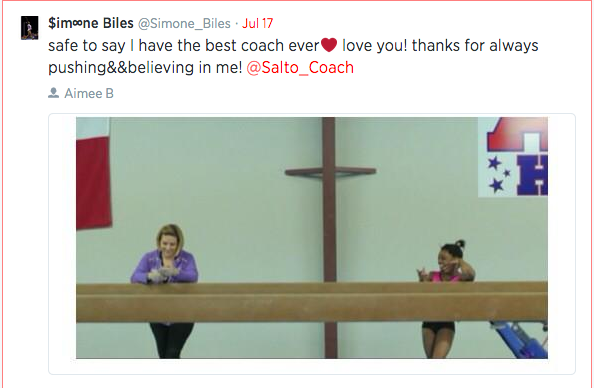 Aimee Boorman and Simone Biles sit on the sidelines after deciding to withdraw her from the 2014 Pacific Rims. 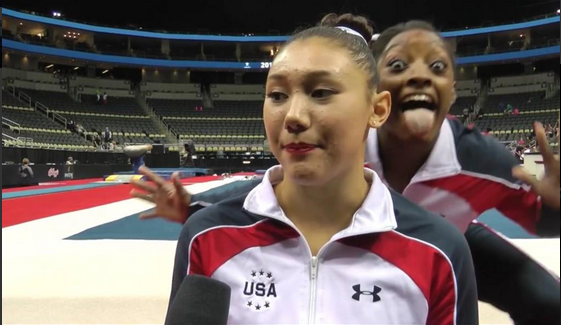 The rest of the team went on to do bars, while Biles sat with Boorman on the side, both obviously disappointed in the outcome of the day. 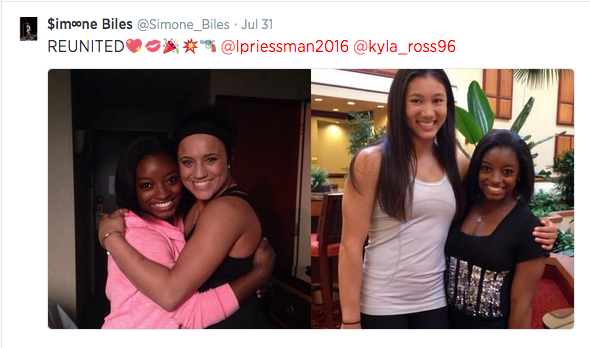 All in all, Biles looks incredibly fit and prepared. She just needs a little time. And luckily, time is on her side. They broke ground on her new gym today. With time for her new training facilities to be built and her shoulder to heal, she will no doubt be a force to be reckoned with later in the year. Peyton Ernst, who was originally the second alternate, will be flying in to replace Biles.